We have proven to be at the forefront of research into alternative species and to be constantly forward thinking in our approach to the track timber market. With our own initiatives in place that look ahead and tackle the problems of tomorrow and provide workable solutions for industry, not only were we the first business to bring FSC sleepers into the UK market, but we were also among the first to introduce and supply legally felled timber from South America to the UK when previous sources were deemed unsuitable. 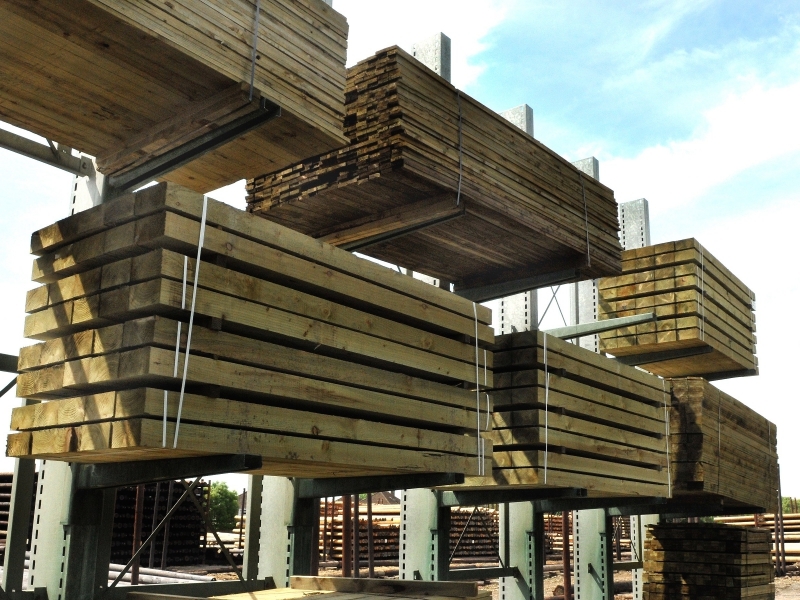 At any one time we stock a full range of hard and softwood sleepers and crossing timbers. With our on site saw milling facilities we are able to produce bespoke size track timbers, for example the bevelled sleepers we supply for use in the London Underground. All of our sleepers are fabricated and treated at our site in Boston, Lincolnshire to either standard specifications or to the bespoke specifications of the individual customer. Nationwide delivery is available with crane offload capability if required. If you would like to know more about our pole range email enquiries@caldersandgrandidge.com or call our sales team on 01205 358866. We look forward to hearing from you. Our track timbers are inspected at source shortly after harvesting. The timbers are then graded into sizes and stacked accordingly for seasoning. All our timber products are sourced in accordance with EU Timber Regulation. We believe the best way to season timber is naturally, by air. This process may take longer, but we believe it is the best way to ensure high quality timber products. Track timbers are laid out for partial seasoning at source. Once they have been shipped to our site in Boston, Lincolnshire they are stored until the natural drying process is completed. During this time they are consistently moisture tested, and are not processed any further until their moisture content is below 28%. Once the timber has reached the desired moisture content it is ready to be fabricated prior to any pressure impregnation. Your timber can be pressure impregnated with either creosote or copper biocide as required. Creosote impregnation gives your timber the longest life span possible with an expected working life of up to 60 years, but may last considerably longer. Copper biocide impregnation gives an expected working life of up to 30 years. All your treated timber will be pressure impregnated on site in one of our four treatment plants, in accordance with BS8417. Note: Pressure impregnation is only used in softwood timbers, hardwood timbers are not pressure treated. This is the final stage in the production process. Once treated we fit the steel chairs/baseplates using the previously drilled holes. 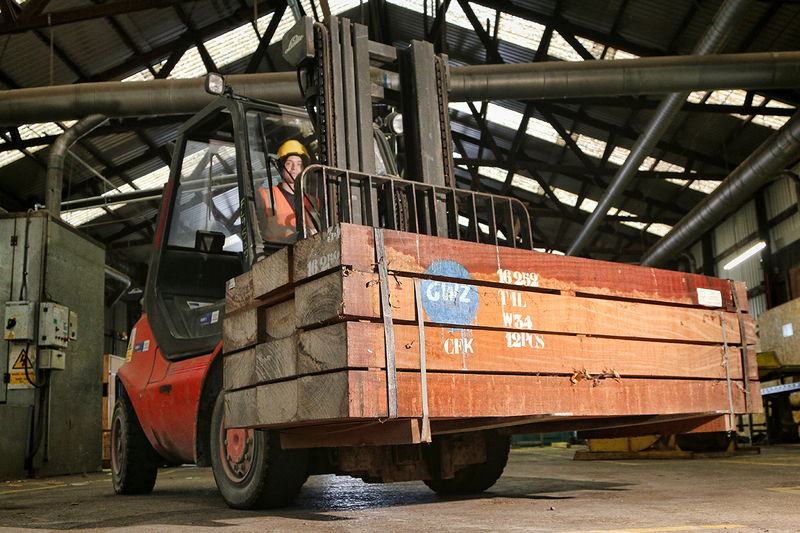 When in transit and during handling, sleepers are likely to bear hits and knocks, wood is better able to withstand surface damage than alternative products. 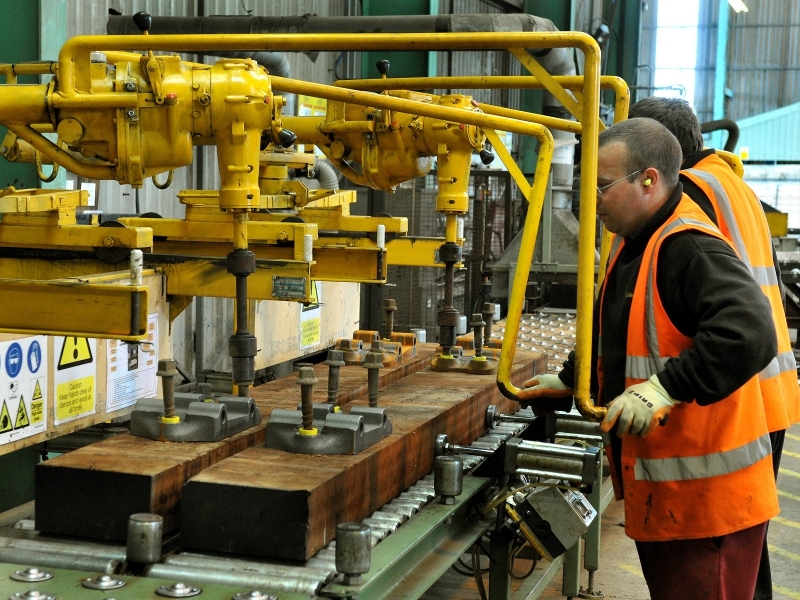 The ease of which timber can be machined means we are able to tailor our stock range of sleepers to your individual requirements and specifications. Bespoke design is a much more costly and time consuming process when dealing with steel and concrete. Timber is a lighter material than steel or concrete, making it easier to handle. This means that the installation time and man power required is greatly reduced, saving you money. Throughout the life of your sleeper being lighter also makes it far easier to maintain and handle, should it require any attention. Wood sleepers are less expensive than steel in many areas. These include the raw material cost and transportation, and we are able to pass these savings onto you. Furthermore timber sleepers are easier to install and modify on site, meaning you will be constantly saving money throughout the life cycle of your sleeper through reduced maintenance costs. All the timber we use in the manufacture of our track timbers is EUTR compliant, meaning all the trees we harvest come from legal sources. Most alternative materials do not come from renewable sources, making timber the only true eco-friendly material. After their service life, timber sleepers can be re-used for any approved use; alternatively they can be recycled as fuel. This adds value as well as additional years to the lifecycle of your timber sleeper. Copyright © 2018 Calders and Grandidge designed by Strike One Media Ltd.